Don't take too long to get ready for a date. The longer you prep, the more nervous you get. Get physical right from the start. 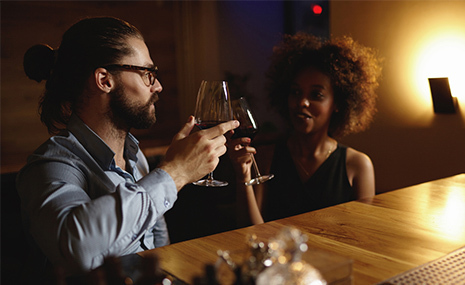 Give your date a hug, a high-five, a touch on the shoulder. Let him be the man. Let him feel needed and chivalrous. Don't spend time worrying about awkward silences. Let the silence pass without worrying about filling the space up. No complaining! No whining! Make a positive impression and don't moan about your life. Remember you're selling yourself! Laugh through the date. It's a great way to break the tension. Guys like women that make them feel funny. He'll have more attraction for you. Let every part of your personality shine through. Don't talk about your ex! Even if he asks, he really doesn't want to know. Make eye contact. When he's speaking, stare deeply into his eyes. Make the date short and sweet. Leave him wanting more! Want more? 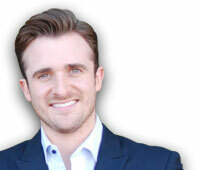 Visit Matthew Hussey's web site here. 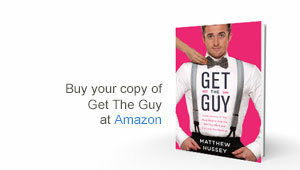 76 responses to "Matthew Hussey: Do's and Don'ts for Your First Date"
Taking notes great advise indeed. Nice guidance to get a good relationship. And be your wonderful self. Nice tips. They are really great and enlightening.. thanks Matthew. Hi am interested in you. I hope to find my dream men here, someone who well make me happy forever. am 36 and am looking for much between 38 to 50. I love this article! Looks like I don't have any issues in this department. thanks so much matthew for the tips. True love will never end . I know the feeling.. I myself is seeking a god fearing man. Thanks, you look very handsome. Thanks for the advice. I'll try not to mess up my date. :) Thanks. Thanks for the advice,,i hope i can meet here so that i will show how i love him true. Thank you, thank you, thank you! Coming from a man makes all the difference in the world. Why? Because it is quite obvious that guys and gals are different and have different needs/desires. And yet they have similarities as well. I guess it is all about letting balance happen freely- naturally. I knew about the whiny part and the ex part. Hell. I'd find that to be a downer myself. I think another thing is very important, actually 2. They are over thinking and not reigning in overly high expectations. We would all have expectations but it's when they get out of hand is when they pose the problem of disappointment because we are imagining what we WANT, not what is. 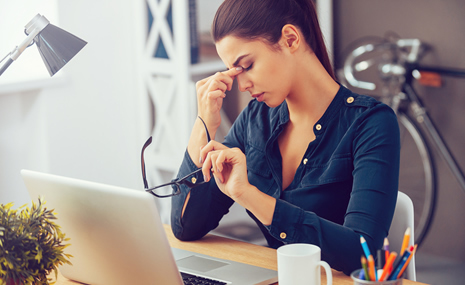 Overthinking just causes stress which, somehow, always is able to be seen or heard. No one wants to be pulled "down". Would I be nervous. Oh yeah. Especially since I haven't even dated in 13 years. But I also realize I am probably more of a woman now than 13 years ago. I was attractive 13 years ago in a different way yet all these years later I am still attractive in another way. But what's really attractive is what, how, and who I am. Love is god love blind .I like love .Some one love I have no girlfriend.